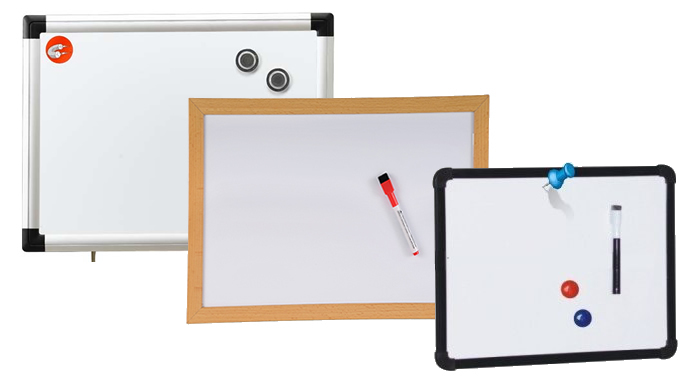 The dry-erase board can be divided into the magnetic board and non-magnetic board. It will not leave the trance after cleaning on the bright surface. You also can leave a message using magnet ball to improve the working efficiency. Our dry-erase board is made of the import high quality board; the surface is able to bear the friction, and not change the shape. It can keep the long time service life. And our product abandons the original unitary design, lack the decoration. In order to meet demand of the different kinds of people, we use many kinds of styles frame with different color. It will be suit for the school, office, and home etc using. Whiteboards by HSMAG Details: any shape frame and corners with any color makes the products mellifluence and solidity, to use the plastic frame can reduce the cost, woonden frame is higher price, alumium frame is the highest price.and aslo to make it feasible of the frame with different for choice.